WinZip is the popular program associated with the creation and extraction of ZIP files. ZUP extension is very popular to compress and archive files before sending by e-mail as attachments, instant messengers or simply to save hard drive's space. Unlike .rar, the .zip extension is so popular because can be created by many free programs. Another good extension is .7z, better to reduce the file size and was invented by 7-Zip, another popular file compression program. WinZip can be integrated to right click menu and you can extract files or create archives with a few mouse clicks. The program allows to encrypt the archive with a password, create self-extracting archives, split ZIP or ZIPX files by size and more. 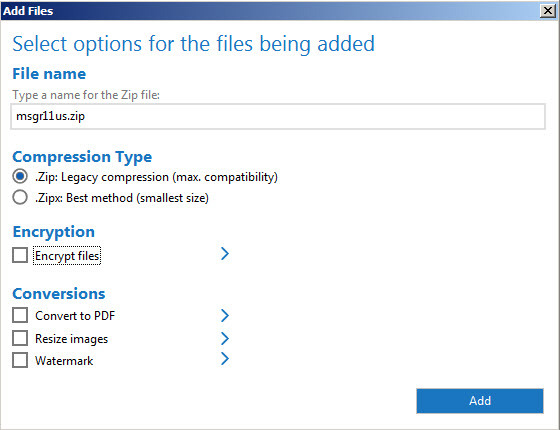 ZIPX is a new extension created by the WinZip team and is better to reduce compress images, although is not yet supported by other extracting programs, so if you need to send the files to other, they could have some problems to extract files, if they don't have Win Zip installed. 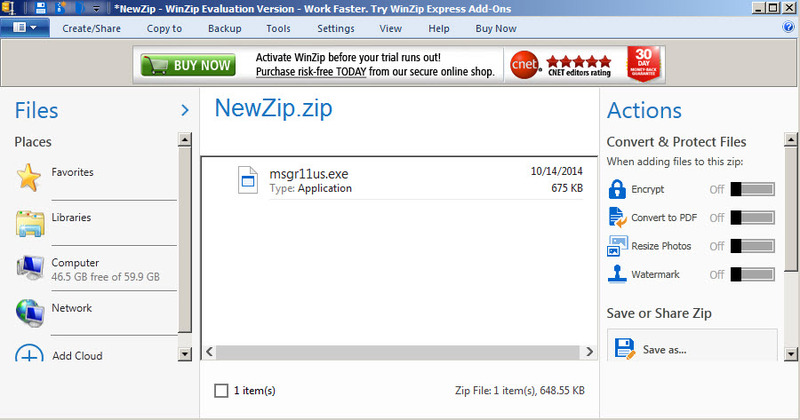 WinZip is available for Windows 32-bit and 64-bit. WinZip is 100% clean and safe to install. You can see the test results here.